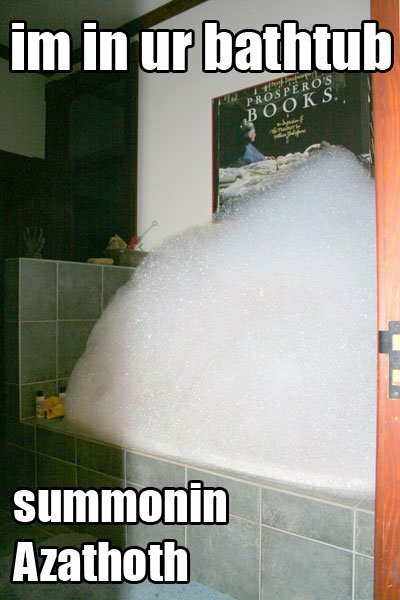 Oh noes, the bubbles conjure up images of Yog-Sothoth as well! U haz Neil Gaiman’s bathroom. Run away, it’s an evil bubble-bath!